At Olam, we are working with Save the Children, as part of the Cocoa Life program, to inspire the next generation of cocoa farmers. Our program trains the youth in good agricultural practices, including pest and disease management, grafting techniques, composting, pesticide use, and farm maintenance. In 2016, we educated 249 young men and women, ages 18 to 24. Let me tell you about of one of the participants, Putriwi Agustina. 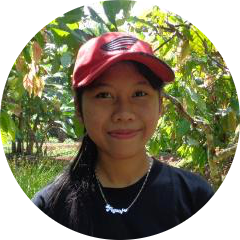 Like many young people in Indonesia, she is concerned about the future of cocoa farming in her village. Diseases and pests plague many cocoa trees in the area, including those on her family’s farm. This has led to a decline in production and incomes. “Many people are leaving cocoa,” says the 18-year-old, who lives in Karangsari. The experience has inspired Putriwi to pursue cocoa. She plans on studying agriculture in college and starting her own farm. "In my community, the common belief is that women can only do domestic work. But I believe women can be independent." Other participants have found employment because of their new skills. 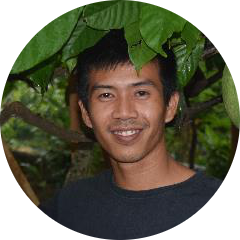 Hendra Saputra, 23, of Kutawaringin, was hired to prune and graft at local cocoa nurseries. Hendra also worked to rehabilitate his father’s farm. "I see this as a good opportunity for me and my friends. Sometimes neighbors ask me for advice on maintaining their farm, and I will gladly explain it to them." For me, that is the most exciting thing about our Cocoa Life program. I see young people becoming motivated. They learn the skills that they can use for their livelihoods. By improving their cocoa farms — and sharing their knowledge with their friends and neighbors — they will have an impact on their communities. We are training youth to become agents of change and models for their peers. "Before, I only helped my parents during harvest with plucking, peeling, and selling cocoa beans. But now, with the Cocoa Life program, I can tell my father how to take care of and harvest cocoa properly. I want to set an example for other cocoa farmers in my village."